21st century bathrooms are no longer places to just bathe and cleanse in but to indulge one's self. Also known as bathroom suites, these vanity spaces reduce the utilization of space, exude panache with suitable bathroom furniture and come in a large number of styles to suit your budget and personal needs. At the same time today's choices are endless and range from traditional to modern, economical to lavish and with the least to the maximum amount of bathroom necessities. Bathroom suites should be elegant, practical and visually appealing to all who use it. 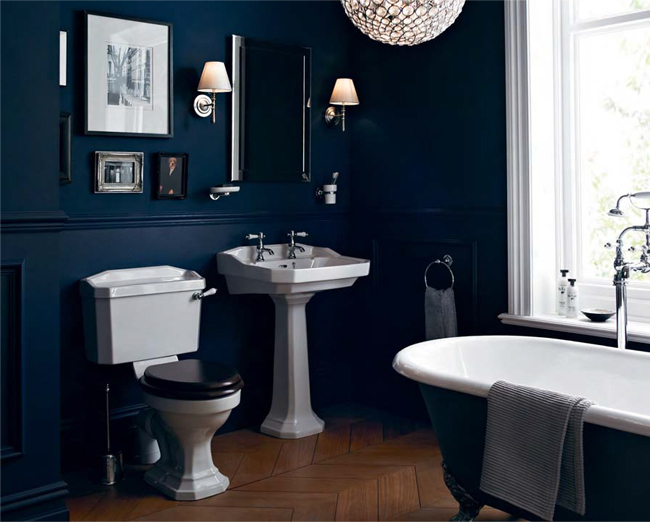 Your first priority while deciding on a bathroom suite should be the space available. You need to evaluate the size of each component in your bathroom suite so that it will fit in the space you have assigned for it. One of the biggest reasons to have a bathing suite is so that the area is organized to give you a much cleaner and spacious look alongside quality and comfort to cater to your needs and requirements. What does a bathroom suite entail? The most common of suites includes a bath or a shower enclosure and sometimes both, a basin plus an accompanying pedestal, a toilet and the optional bidet. There are those that also have a variety of optional extras such as vanity cabinets and mirrors. 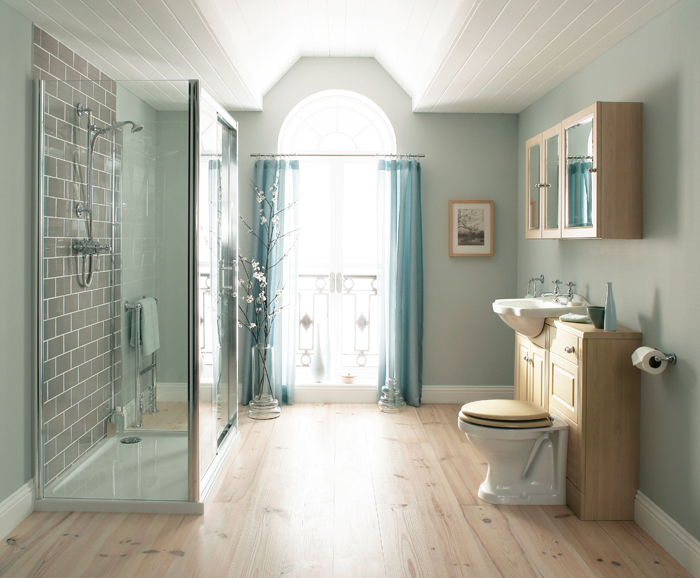 When choosing the components of your bathroom, the general style of your bathroom will normal dictate what you pick. When it comes to wash basins, wall hung styles are most popular because they save space allowing storage below. Basins can be found in a range of sizes and shapes to look fashionable, economize space and also in a variety of materials. The most durable and common being vitreous china. When it comes to choosing your toilet, decide on whether you want it to be a one-piece low profile or a traditional two-piece set. Two-piece toilets are less expensive and easy to repair, whereas one-piece toilets are expensive to maintain. The good side though is that with an integrated bowl and tank one can avoid leakage. One piece toilets come in a variety of shapes and are less invasive in appearance. When choosing the bath, its position in the suite is of vital importance. Make sure that its size allows you to walk around in the bathroom. Acrylic is one of the most popular materials because it is light, easier to install and is lower in price. No matter what you choose make sure that it is a comfortable because that adds to its therapeutic value. Bigger baths consume more water, so think of the financially and ecologically cost involved. 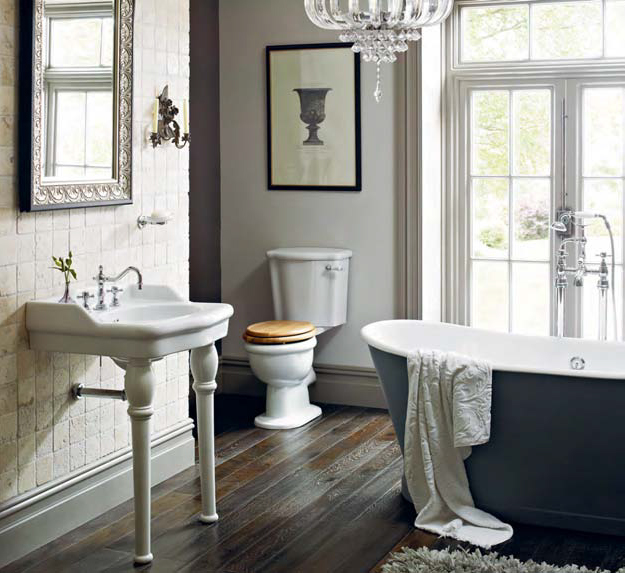 The right accessories to suit the available space can change the aesthetics of one’s bathroom suite dramatically. Suitable lighting for instance can transform the bathroom and accessories that are functional and necessary can enhance or clutter the suite. 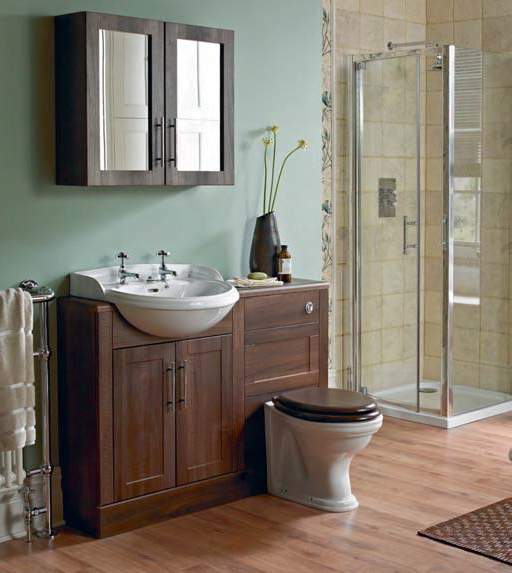 Choose your bathroom suite based on durability and access to spare parts. In the end your bathroom should be a place that you look forward to retreat to for some peace and quiet. After a tiring days' work, indulge in a refreshing bath in your bathroom suite. Note: All images in this article are owned by its author reuse of the images on any other site is not permitted and strictly prohibited.